How Far is GEV Radha Madhav? GEV Radha Madhav is an exemplary luxury neighbourhood, by renowned GEV Projects, in Benz Circle, Vijayawada. The residential flats for sale in GEV Radha Madhav, Vijayawada offers beautiful, well ventilated spaces that elevates your quality of life. 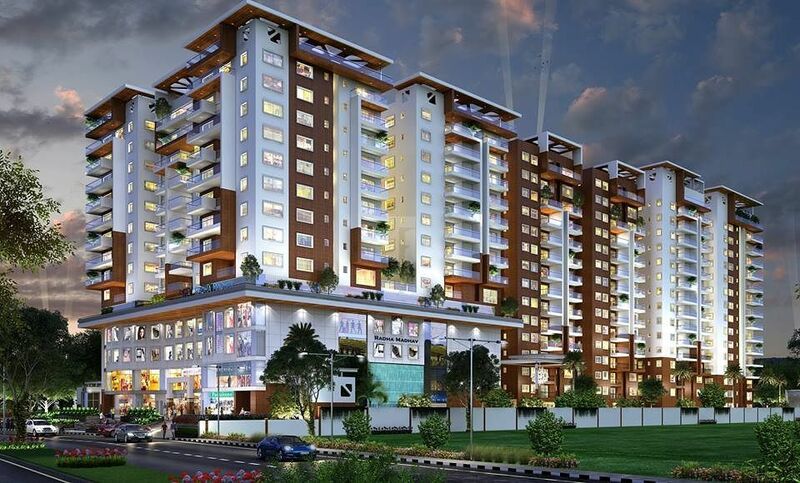 Sprawled over 3 acres area, GEV Radha Madhav in Vijayawada stands tall over 16 towers with 15 floor classification. The master plan of GEV Radha Madhav boasts a contemporary design that declares its world class standards and esteemed accomodation in Vijayawada. With enviable amenities, the flats for sale in GEV Radha Madhav, Vijayawada are a dream come true. 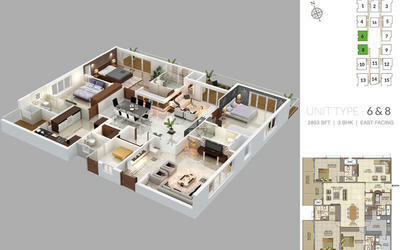 Offering 3.5BHK apartments for sale with sizes ranging from 2358 - 2853 SqFt. 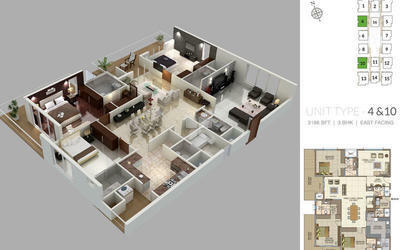 and 4.5BHK apartments for sale with sizes 4008 - 4082 SqFt. 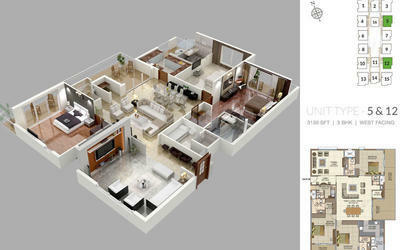 GEV Projects have presented the epitome of luxury in Vijayawada with GEV Radha Madhav. GEV Radha Madhav is strategically located just a short distance from the busy business center of Vijayawada, yet at the same time being peaceful and tranquil in your own home. Sporting the best amenities combined with apartments designed for modernity and eliteness, GEV Projects has excelled with this venture. Hosting numerous amenities that include a well-equipped gym, swimming pool, children's play area, cafeteria, multipurpose room, 24*7 security system, jogging track, power backup provision, landscaped gardens, iindoor games facility, car parking area, yoga hall, library and an elevator. 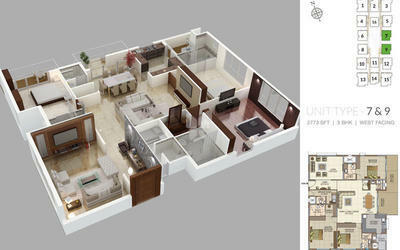 all the flats for sale are vaastu compliant. 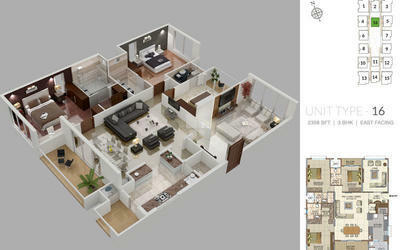 USP: Spacious Luxury high-end apartments with incomparable amenities.